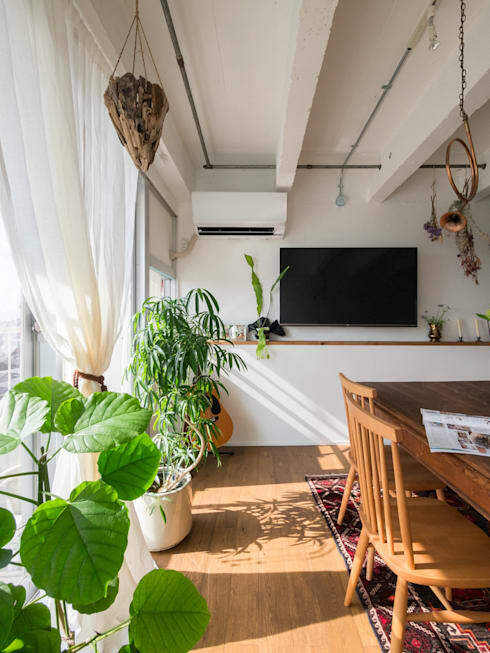 It's easy to forget that money doesn't necessarily make for a happy home—and this is certainly true when it comes to decorating your precious living space. The most pleasurable DIY home projects are often the cheapest. Perhaps this is because the essentials of good design - that is—good colour, line, texture and balance, are accessible to everyone. All you need to do is look properly at your design and get creative with the tools at hand. So, to help spark a few projects,we've compiled a list of 8 ways to cheer up your home on a budget. Enjoy! 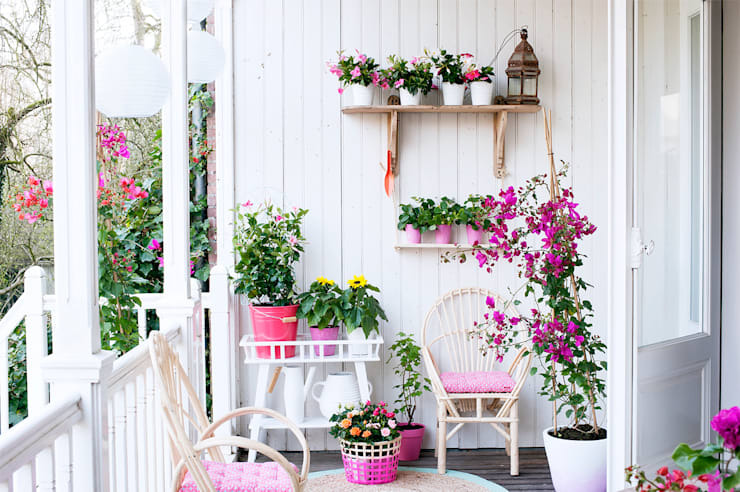 The beauty of houseplants is that they can be dressed up with all manner of colourful and energetic designs. Perhaps you can pick out some super cheap pot plant holders in a bright happy colour like this. You could even get some plain white pots and paint a few happy designs of your own. Stencil designs are available very cheaply online. Just print out your favourites and get stencilling. The simplest designs are often the best. Playful motives and elements from the natural world often bring a smile to the face. If you make a mess, just cover it up with a fresh coat of white paint and start all over again. Houseplants have a very powerful impact on the look and feel of the home. But it's easy to get enamoured in a big expensive houseplant and forget that plants grow. Start with some cheap small saplings and nurture them so they grow large and healthy. This happy home tip is perhaps the most important one of all. Warm, natural colours have a calming effect on our bodies and minds. 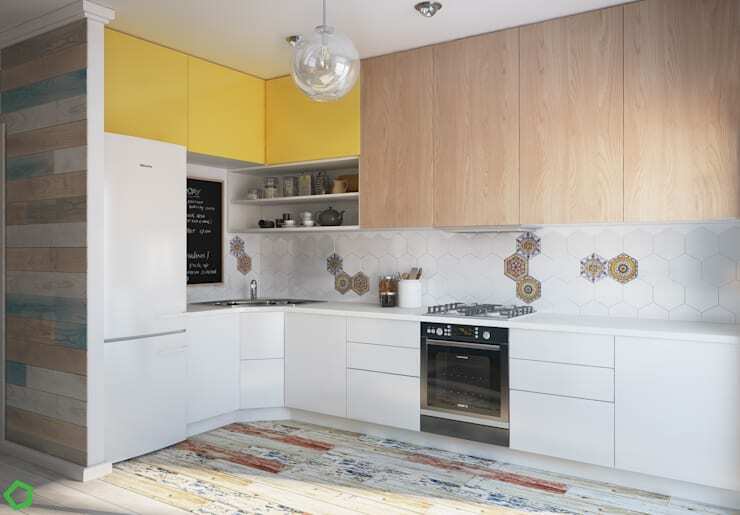 Perhaps you could introduce some sunny yellows in a kitchen like this. In a plain white kitchen, all you would need to do is get a couple of new coloured cabinet doors. This beautiful artwork comes to us courtesy of artists Purple Pebble Studios. 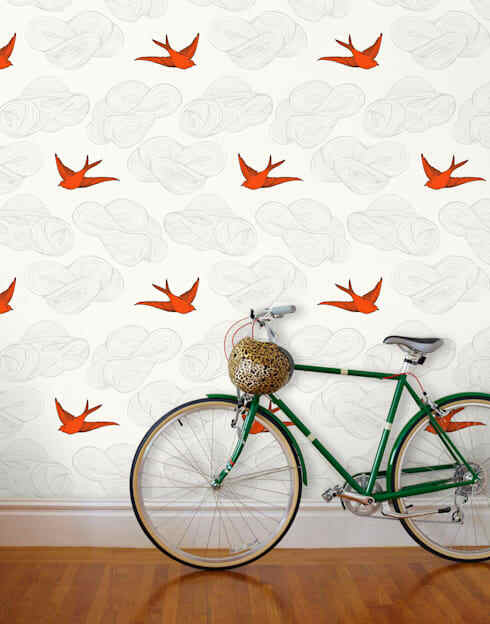 It has a playful quality that would add a light-hearted touch to any interior. Artworks are an essential part of a happy home. 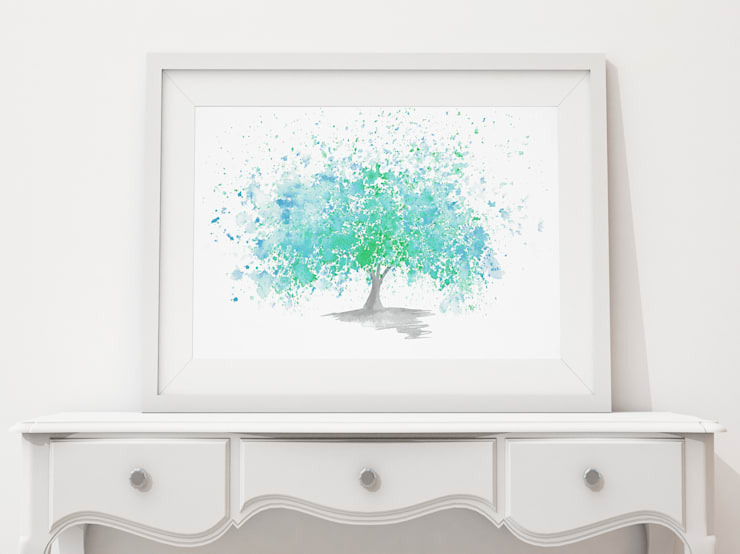 Explore your creative side with some cheap supplies or simply print out your favourite works and finish them with some cheap white generic picture frames. Consider painting your chair alternate colours. It will add interest and variety to the room for very little cost. If you are looking to buy new, cheap furniture, instead of buying a full set, just mix and match your furniture with an eye to creating interest. Look at a colour wheel and mix complementary colour combinations to best effect. 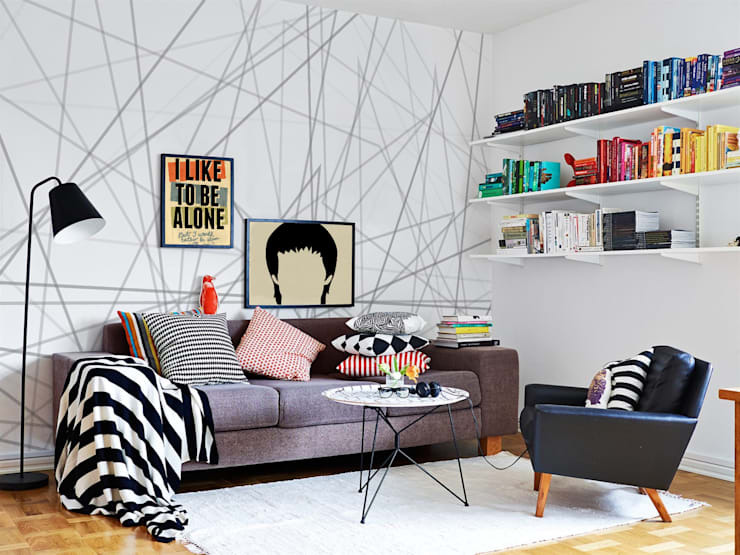 You don't need lots of paint to create a feature wall! Research different designs and consider painting just the lower half of the wall one colour. You might even create an ethereal effect by watering down successive layers of paint to create a living room like this. 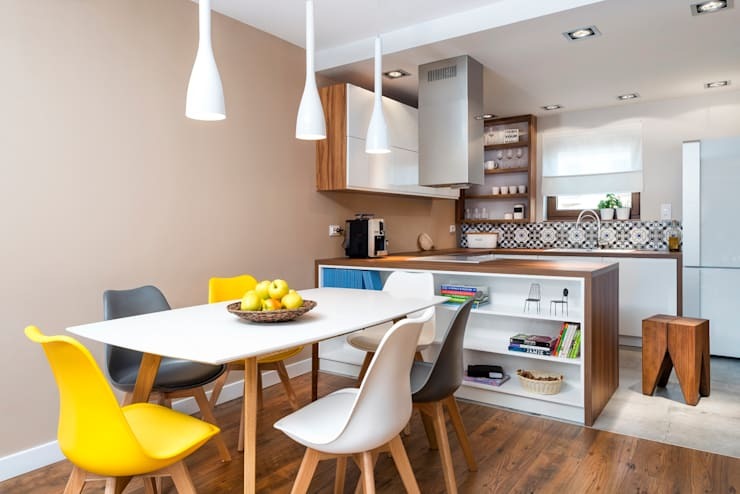 If the budget is almost nil, you can always create striking colour groups within the home. Look at the bookshelf here. The unusual arrangement of colours is a definite style statement! If you want to see a simple stylish home for inspiration, have a look at The tiny but perfect white apartment. If you have any more budget decorating tips, let us know!